Our CEO, and Former Professional Baseball Player, Dan Rootenberg, is Along for the Ride! 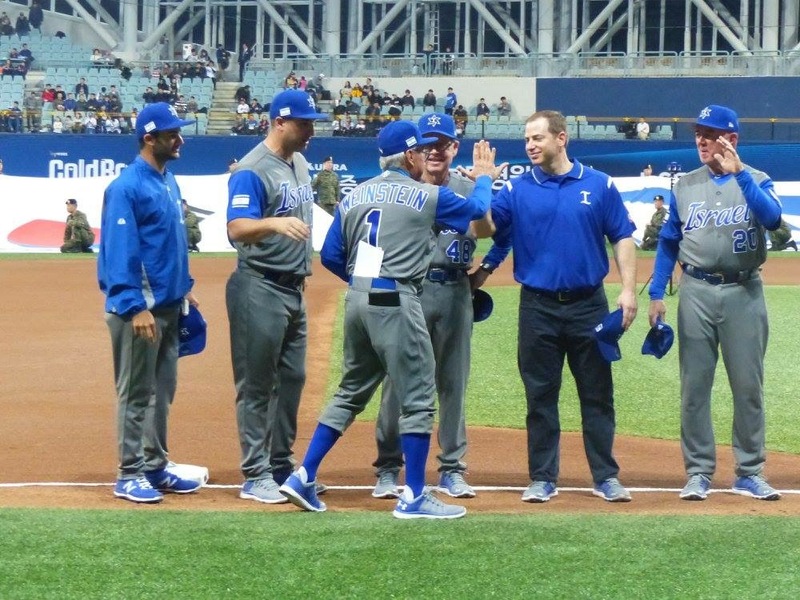 If you’re following the World Baseball Classic, you’ll certainly know about Team Israel, an unlikely team of players with a 4-1 record, stacking up wins against some of the top ranked teams in the world. 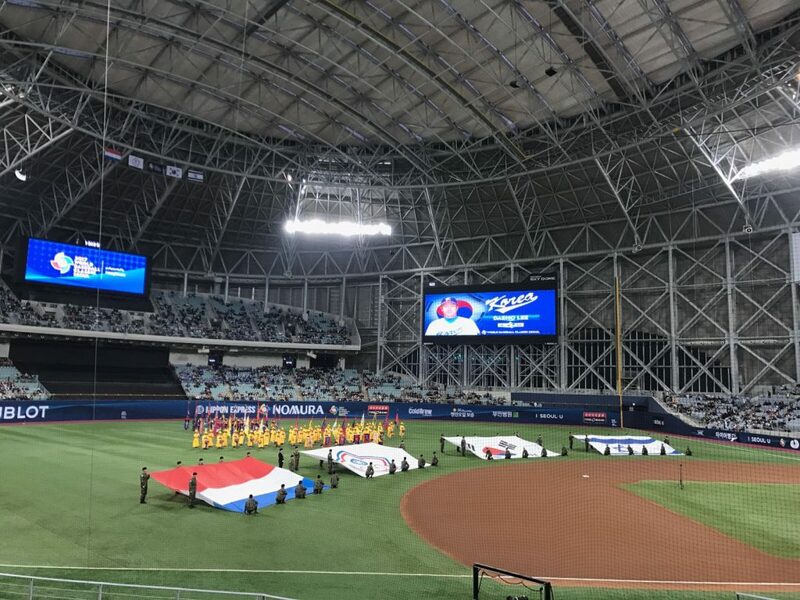 Against all odds, the team—ranked 41st in the world prior to the start of the competition—beat top-ten ranked Korea, Taiwan and Netherlands and on Saturday, went on to beat perennial powerhouse Cuba 4-1 in the second round of the tournament. The team is looking to bounce back from their first setback, a 12-2 loss to the Netherlands on Monday. Team Israel is most definitely still in the game. Not since L.A. Dodgers ace pitcher Sandy Koufax chose not to play on Yom Kippur during the 1965 World Series, has there been this much attention on Jewish baseball. This is also the first time Team Israel has qualified for the Classic, after coming within a win of securing a spot in 2013. This year, they punched their ticket, earning the Classic’s 16th and final slot. And behind-the-scenes, away from all the media coverage and interviews, a former pro ball player provides strength and conditioning and physical therapy guidance to these unlikely underdogs. Managed by Rockies minor league manager Jerry Weinstein, Team Israel is a ragtag mix of major and minor league players. The Israel Association of Baseball scoured the world to find the best Jewish ball players, even contacting synagogues in the Dominican Republic and Puerto Rico. There are a handful of former or current New York Mets, including former first baseman Ike Davis, utility infielder Ty Kelly, and Zach Thornton, who pitched for the Mets AAA Affiliate in Las Vegas last year. The final roster includes some older players and many for whom these are the biggest games they’ll play all year; none is currently on a 40-man major league roster. 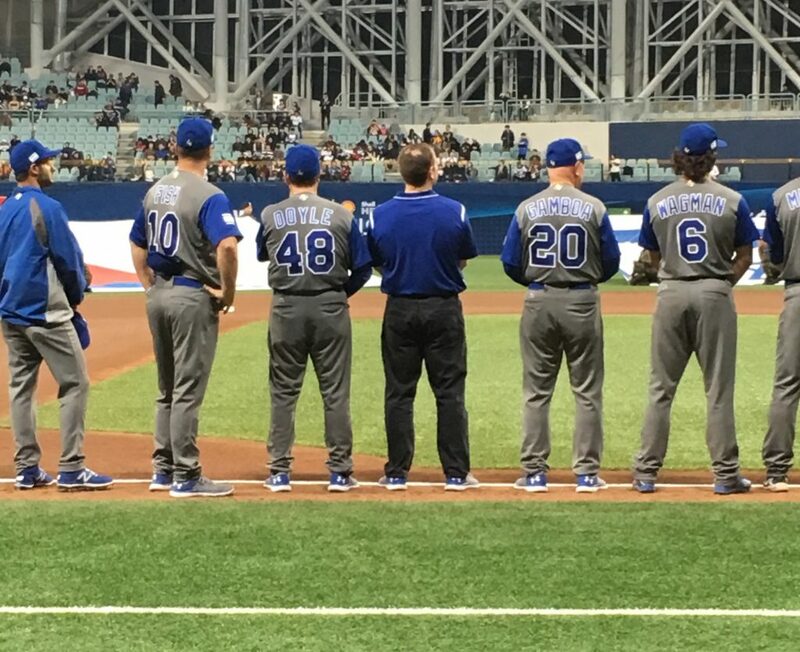 The majority of the team is American, permitted to play for Team Israel by way of the Heritage Rule: with at least one Jewish grandparent, they automatically qualify for citizenship in Israel, which is enough to qualify them for the team within the WBC rules. The team has two players who are Israeli citizens: pitchers Dean Kremer and Shlomo Lipetz. What’s the secret to Team Israel’s success? First is team chemistry. They are very close, playing loose and having a great time. Their mascot—a 5-foot Mensch on the Bench—has his own locker, where players leave him offerings of Manishewitz and gefilte fish. (On the recent flight to Tokyo, the Mensch had his own seat on the plane; the flight staff insisted he wear a seatbelt.) The players, many of whom hadn’t explored their Judaism prior to this experience, are now bonding over their connection both to Judaism and to Israel. It also helps that they’ve got arguably the best physical therapist/trainer team in the business keeping them limber and in top condition. Dan Rootenberg, founder and CEO of SPEAR Physical Therapy, is serving as Team Physical Therapist and Strength & Conditioning Coach for the team. He is a part of an all-star medical staff consisting of head trainer Barry Weinberg, who has 30 years of major league training experience with the Yankees, Cardinals and A’s; Josh Guterman, a trainer in the Colorado Rockies system, and Yoni Rosenblatt, a highly-skilled team PT and owner of True Sports PT in Baltimore. Each morning, Dan dons his PT hat as he heads to the ballpark with players requesting treatment before a practice or game. “Our aim is to support the athletes, get them in as good a game shape as possible, help decrease the risk of injury, and promote faster recovery,” Dan explains. After an hour of triaging players, Dan, in his other role as Strength & Conditioning Coach, takes the team through warm up and stretches. He alternates between dynamic and static stretching, and will change up his plan according to feedback from the team. During team practices, Dan hits fungoes and participates in infield drills. During games, he’ll take pitchers about to take the mound through stretching and range of motion exercises that prepare them to throw 90-plus mph balls. His time on the field—a major change of pace from a typical day in midtown NYC—is something he really enjoys. Dan has his own esteemed history with the Israel Baseball League. 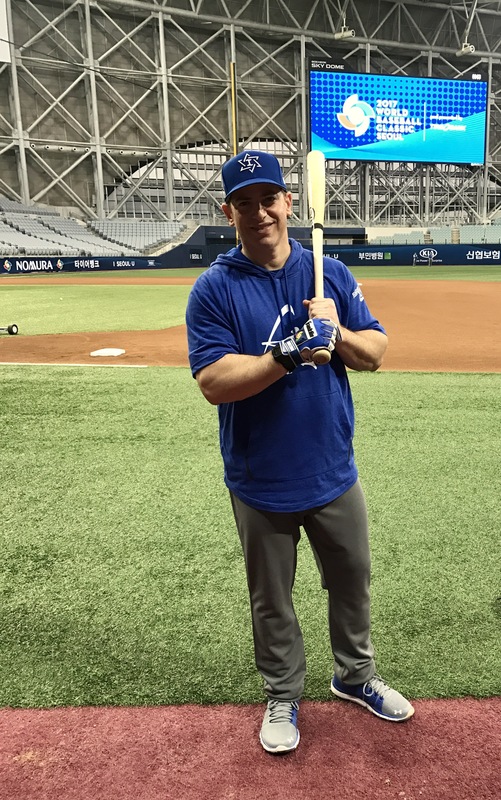 After competing in five European championships playing for the Zurich Barracudas, he was the first player to be signed in 2007 by the Israel Baseball League, the first professional baseball league in the Middle East. His time with the IBL lasted one, incredibly memorable season, and it was the friendships developed during that season that led to the opportunity with Team Israel today. He continues. “From an organizational leadership standpoint, it’s special to be part of a group of individuals united with a common cause doing what nobody but us imagined possible. As a lifelong student of leadership coaching, Dan has taken this extraordinary opportunity with Team Israel to learn from both players and coaches, and is excited to bring the latest treatment techniques home for patients, and to share fresh coaching and leadership techniques with SPEAR’s executive leadership team members (one of whom recently returned from the Rio Olympic Games as the team therapist for USA Volleyball). As for Team Israel, its unlikely adventure will continue. Moving past Monday’s loss, the team is poised to play Japan on Wednesday. If they win, Israel will have a good shot at advancing to the semifinals in Los Angeles.